One of America’s largest retail giants is getting into car sales—except they aren’t, not directly. 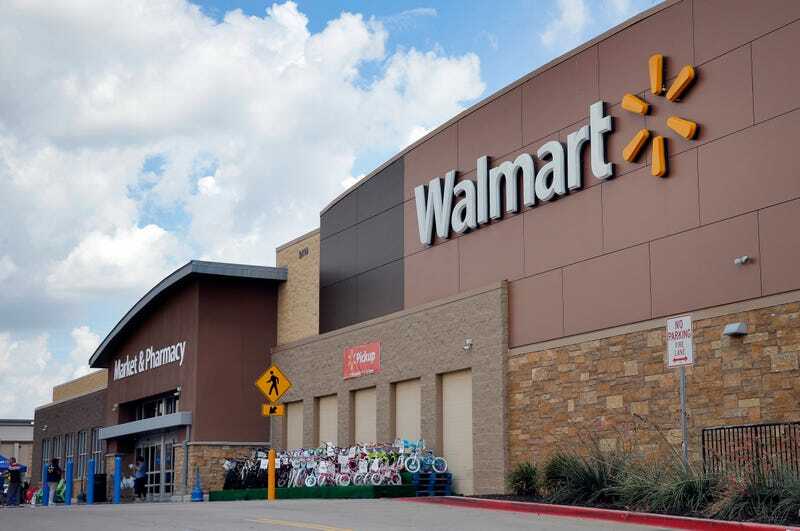 Despite Walmart’s massive market leverage for inexpensive goods, it has no intention of using that advantage to pass savings onto you the car buyer. All it will do is sell your information to a dealer who may not really save you any money in the end. Let’s make something clear: Walmart is not actually getting into the business of selling cars. They will not stock inventory, they will not be a dealership. You will not be able to get Rollback pricing on your new Corolla and buy it along side your jumbo-sized package of paper towels. What Walmart has done is partnered with what is essentially a broker service called CarSaver. CarSaver, in turn, has partnerships with various local dealers such as ones owned by AutoNation, one of the largest dealership groups in the country. CarSaver’s digital platform allows car shoppers to select, finance and insure a vehicle through its website or on a touch-screen kiosk, backed by bilingual auto advisers available by phone. Staffers at CarSaver Centers — set up inside Wal-Mart stores across from checkout lanes and alongside other services, such as vision centers and nail salons — will explain the car-buying program to Wal-Mart customers. Customers will be able to select a new, used or certified pre-owned vehicle and apply for financing and auto insurance on the kiosk at the CarSaver Center, on their mobile device via CarSaver’s website or by calling an 800 number. CarSaver then will connect customers with a local, certified dealer and schedule an appointment to visit the dealership. If a shopper doesn’t contact the dealership, an auto adviser reconnects with that shopper. Basically, Walmart is giving CarSaver, which is a primarily online service, physical floor space at various retail locations throughout the country in order to reach customers that ordinarily may not either be aware of CarSaver or may not be as comfortable using their online platform. This is a lead generation service no different than TrueCar, Costco, or any other number of third party buying tools that offer “certificates” and act as lead generators for local dealers. Only now, instead of just sending an email and a phone number. CarSaver has run a credit report and has an insurance risk profile on you before you have even seen the final figures of the sale. But will people save money? According to CarSaver’s CEO, of course, they will! Nearly 80 percent of the appointments scheduled through the program led to a sale, and on average, customers saved more than $3,000 off the sticker price, with the program’s no-haggle, upfront pricing. Discount off MSRP is a meaningless comparison when you are talking about an average savings on all vehicles. Different cars from varying brands have different levels of margin for profit. There is a reason that pickup trucks can be offered with up to $10,000 in rebates from a manufacturer, but a compact car may only have a few hundred bucks to play with. Sure, you might save $3,000 off the sticker, but is that really the best deal possible for the particular car you are shopping for? The only way to find out is to get multiple quotes from multiple dealers on the same make, model, and trim. The main drawback to CarSaver or any other lead based pricing service is they don’t provide you with an “out-the-door” number, and this is the most important figure that you need to compare quotes. Remember, CarSaver and others are paid by the dealerships. It is in their interest to devise a system to keep the dealers happy. Therefore, dealers can easily game these pricing certificates by offering a really attractive discount only to make up for it with excessive back-end fees. The biggest misconception about these services is that they are “free.” That’s not really the case when you follow the money. If CarSaver is successful in closing a lead for a dealership, they bill the dealer $350. Do you think the dealer just eats that fee? No, they build that into the price of the car one way or the other and pass it along to the buyer. You never notice it because it’s not a line item on the contract. So why spend $350 for essentially a coupon that doesn’t give you the total price and give permission to some third party to release your personal financial information to a dealer before you have decided to close a deal? The best method is to avoid the middleman altogether. Get pre-approved for financing from your credit union or local bank. They aren’t interested in selling you a car, but it is in their interest to get you the lowest rate they can offer. You can either take that loan or use it as leverage later. Then contact the dealers yourself and get numbers fully detailed in writing. This method takes time, patience, and a bit of effort. It can also be frustrating, but you can only be sure you are getting the best price if you do your research and remain in control of the process.